Find the addresses you need or the best places nearby even when you’re offline with Yandex.Maps. Get detailed information on organizations and routes there on foot, by car, by bicycle or on public transport along with current traffic jam information. • Access a huge database of organizations and use filters to narrow your search. • Look up important details like contacts, office hours, service information, photos and reviews. • Search places and addresses even when you’re not connected with offline maps. • View locations saved in “My Places” on any desktop or laptop computer, iPhone or iPad. • Tap the traffic light icon to see colour-coded congestion on the map. • See available parking on the road as well as places that other users have recently left along with the rates for official parking spots. • View public transport move between stops in real time on the map. • Choose between the “Map”, “Satellite” and “Hybrid” appearances. • See locations from the street level with panorama view. • Find the fastest route on foot taking advantage of squares, parks and footpaths between buildings. • Follow a bicycle route that takes into account types of roads, your preference for crossing above and below ground, and warnings about exits onto main roads. • Reach your destination fast whether driving or using public transport. • Choose from several route options that factor in traffic jams and public transport connections. • Step-by-step voice navigation guides you along your route, telling you which road maneuver to do and what lane to take. • Get notified about traffic cameras, stay up to date with current speed limits and know when you are exceeding them. • View scheduled service times and estimated time of arrival at every transport stop. • Keep updated in real time on accidents, speed traps, cameras, road blocks, and so on. • See what traffic is like and how long it will take you to get home or to the office in the iOS Notification Center. 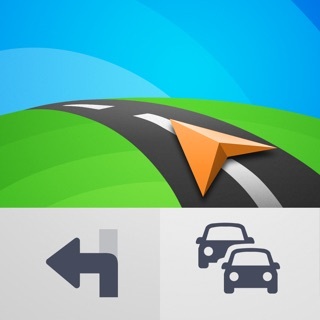 • Download maps to get driving directions and voice navigation when you are not connected to the internet. • Save space on your device using more compact maps (Moscow, for example, only takes up 159 MB). • Browse а selected region’s offline database of organizations with office hours, service information and other details. • Get maps for over 2000 cities in Russia, Armenia, Belarus, Estonia, Georgia, Kazakhstan, Latvia, Turkey and Ukraine. • Mark road events on the map and comment on user submissions. • Regular updates to the Public Map keep you informed about your city. • Write reviews or fix inaccuracies about any place. Yandex.Maps supports Apple Watch and lets you preview your city’s traffic information as well as journey times to your home or workplace. — Use keywords and sort reviews by date, popularity or rating to navigate through people's reviews with ease. — See how businesses respond to users’ reviews. — Never lose track of your favorite places: if a business moves to a different location, you can find its new address in the app. I prefer this app because of it's simplicity over others and the ability to zoom in and out with a tap instead of pinching. And the new feature is wonderful for us. Because of the position and the size of my phone on my handlebar, I sometimes have problems while trying to tap the zoom buttons. While riding, I only use my left hand as my free hand since it is much safer for cycling. But the buttons are on the right side. Is it possible to add a setting which will let's us choose where the buttons should be? Lastly, I wonder if it is possible to add a grade/elevation map. It'd be perfect for cycling. Thank you for making the app more bike-friendly. Thanks for your feedback. I've sent your request to app managers. This saved my life in Russia, you should expand!!! Needs lots of work. But a good star! Needs a lot of work but a good start! Please tell us what you would like to improve in the application?